An employee had a heart attack at work. The facility had an automated external defibrillator (AED) on site, but no one used it to help the employee. Did a court approve the employee’s request for workers’ comp benefits? In March 2013, Katherine Chaney collapsed at work. Her heart had stopped beating and she couldn’t breathe. Chaney sought workers’ comp benefits for the injuries resulting from the employer’s failure to use its AED. The employer asked the court to dismiss Chaney’s claim because her injury was unrelated to her employment. Chaney argued that under a 1997 Tennessee Supreme Court decision (Vanderbilt University v. Russell), Team Technologies had a duty to provide her with medical assistance. The trial court ruled that Team Technologies did have an obligation to provide Chaney with medical assistance, however it was arguable whether the employer had provided adequate assistance. The court refused to throw out Chaney’s lawsuit. Team Technologies appealed this point to the Tennessee Supreme Court. In Russell, a nurse at Vanderbilt University Hospital fell while changing bed sheets during her night shift. Doctors later determined her fall was caused by a stroke. Hospital staff took the employee to the ER, but she declined treatment. The employee died less than a week later after having another stroke unrelated to her employment. The employee’s husband sued the hospital for workers’ compensation, arguing her second stroke arose out of her employment because the hospital didn’t provide adequate medical treatment after her first stroke. However, the state’s highest court also said that by taking the employee to the ER, it had fulfilled its duty to its employee. The biggest update in the clarified statement: the use of the word “reasonable” to describe the medical assistance the employer has a duty to supply. With that update, the court said the question became whether Team Technologies had a duty to use an AED to assist Chaney after her heart attack. The Tennessee Supreme Court had ruled in a previous case that a business doesn’t have a duty to use an acquired AED to assist a patron. Up until it received Chaney’s case, it had never ruled whether the same applies to employees. Tennessee enacted a law that encouraged but didn’t require acquisition of AEDs. 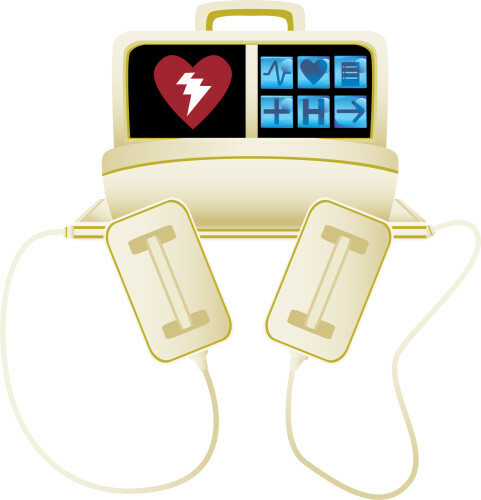 The AED statute does require certain training, maintenance, registration and program development requirements for businesses that acquire an AED. The AED statute grants immunity from liability for negligence to an owner of an AED (businesses included) that complies with the law. The court said since the law didn’t require the use of an AED, an employer doesn’t have a duty to use one to assist an employee. The rule from Russell requires an employer to provide reasonable medical assistance, not any and all medical assistance. For that reason, the Tennessee Supreme Court reversed the trial court’s ruling. It said Chaney’s claim didn’t arise out of her employment because Team Technologies provided reasonable medical assistance and didn’t have a duty to use its AED to help its employee. In its decision, Tennessee’s highest court listed several other states have adopted the Russell rule: Alaska, Iowa, Kentucky, Minnesota, Missouri, New Jersey, North Carolina, Oklahoma and Texas. Other states have adopted the reasonable assistance rule: Arizona, Illinois, New Mexico and Utah. Note: In support of its decision, the Tennessee Supreme Court’s decision also mentions a 2015 Florida case Safety News Alert previously covered. A railroad employee working remotely had a heart attack. A co-worker found him and called 911. An emergency dispatcher wasn’t able to describe the remote location where the two employees were working, delaying EMT arrival by 15 minutes. The dead employee’s widow sued the employer, alleging its negligence (not providing an AED on its trains) caused her husband’s death. A federal court found the employer didn’t have a duty to provide AEDs on its trains in anticipation of a worker’s illness.